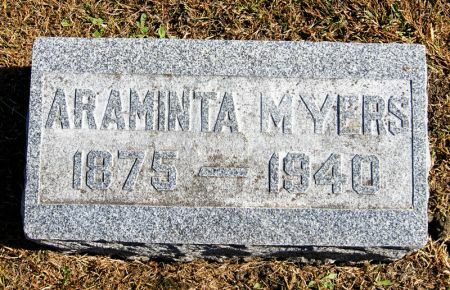 Lydia Araminta Dresher, daughter of Charles Franklin Dresher and Nancy Jane Morris, was born Oct. 11, 1875 southwest of Bedford, Taylor Co., Iowa and died May 26, 1940 at Omaha, Douglas Co., Nebraska. She married Walter Edward Myers Sept. 18, 1904 at Bedford, Taylor Co., Iowa. Obituary available Taylor County, Iowa gen web site. Searching for LYDIA ARAMINTA MYERS in Taylor County Iowa?